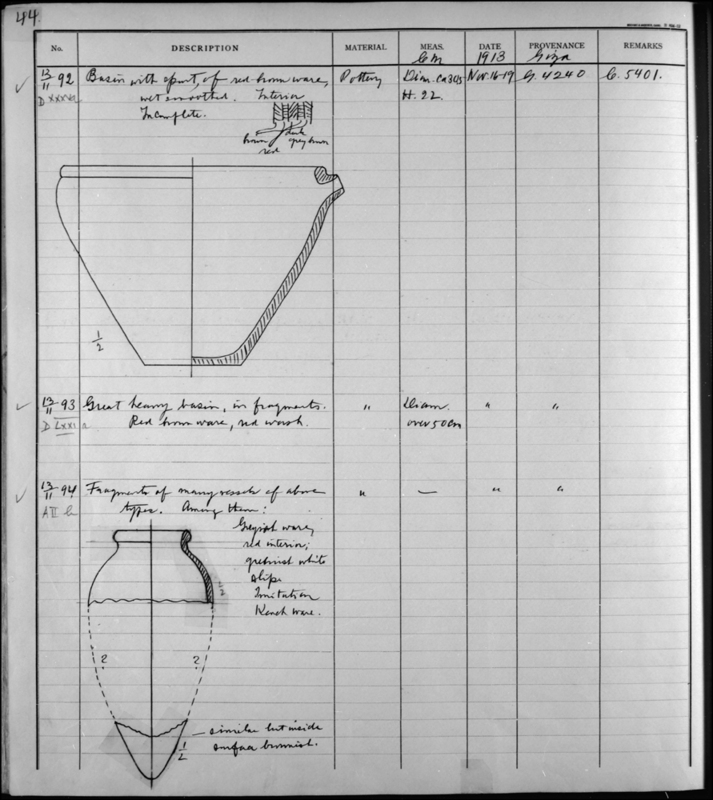 Fragments of two pottery jars accessioned as MFA 13.5662. Reisner, George A., and William Stevenson Smith. The Tomb of Hetep-Heres the Mother of Cheops: a Study of Egyptian Civilization in the Old Kingdom. A History of the Giza Necropolis 2. Cambridge, MA: Harvard University Press, 1955, p. 69 (attributed to G 4240 A).